18 karat rose and white gold ring with colorless diamonds – 0.15 ctw and natural color rose cut diamond – 0.62 ctw set in halo setting. 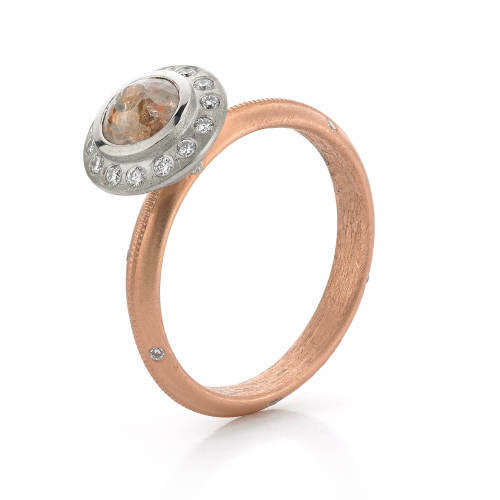 18 karat rose and white gold ring with colorless diamonds – 0.15 ctw. Natural color rose cut diamond – 0.62 ctw set in halo setting.